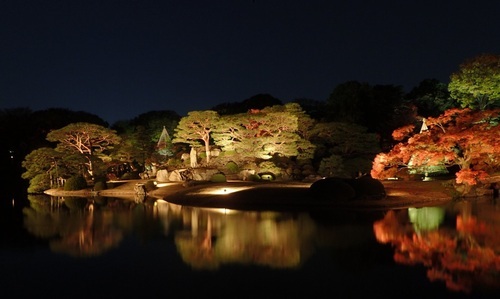 In mid-November Rikugien Park will begin its popular annual evening autumn tree illuminations. The stunning park, one of a small number that has stood almost exactly as it was since the Edo period, is known specifically for its autumn tree foliage. Spend a slow afternoon in the cool air and watch the sun’s rays play tricks with the autumn colors before the lights go on. If you can’t spend the afternoon, don’t fear: the park will be open until 9pm during the duration of the illuminations. Sunset – 9pm. General ¥300, Seniors ¥150. 6-16-3 Honkomagome, Bunkyo-ku. Nearest Station: Komagome.